Exquisite architectural hideaway nestled in the coveted Oaks. 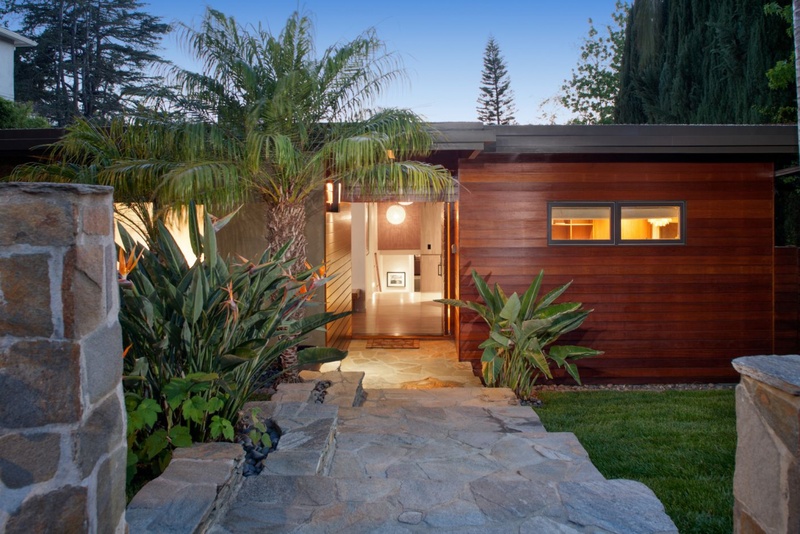 Originally designed by Joseph Eichler in 1956. Meticulously restored with authentic attention to detail in keeping with the original mid-century design. Magnificent use of wood and stone throughout the split-level floor plan. Layout includes 3 bedrooms, 2.5 baths, office/study, hobby room, and a stunning master suite with custom closet and heavenly spa-like bath. Living areas boast seamless indoor-outdoor flow to the outdoor kitchen and terraced gardens. Enclosed 2 car garage. Situated on a street-to-street lot for exceptional convenience and privacy.